If you're using an image widget and the image is displaying smaller than expected, here's how to change the size. 1. Open the Image widget and click Edit Image (you can also click directly on the image). 2. An Image Details window will pop up. Click on the Size drop-down menu. 3. We recommend selecting either the Large or Full image size, depending on the original size of your image. I.e. if your full size is 4000px wide, it doesn't need to be that big (and will slow down the page). The large size is fine if your full file size is extremely large. 4. 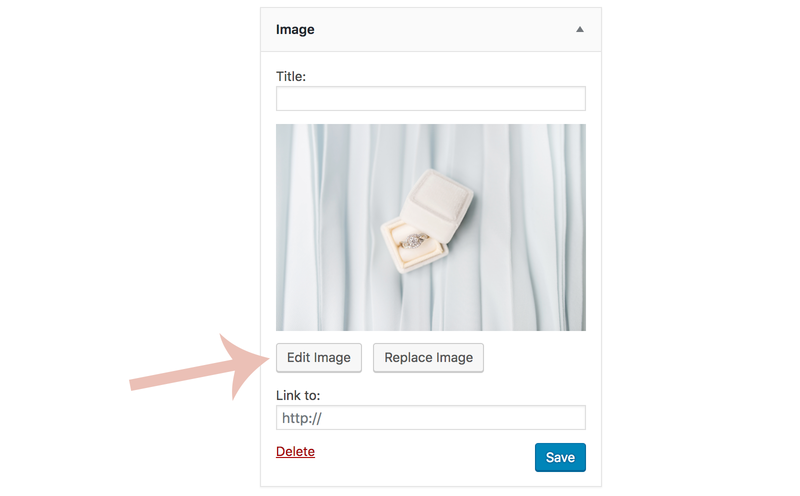 Click Update, and then click Save on the image widget.